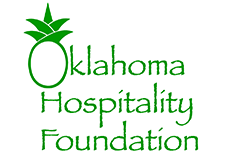 The Oklahoma Hospitality Foundation is a charitable organization benefiting the restaurant, lodging, and tourism industries in Oklahoma. As the philanthropic arm of the Oklahoma Restaurant Association, the Foundation enhances the industry’s service to the public through education, community engagement, and promotion of career opportunities. A foundation that provides educational certification, professional development, food safety and sanitation training and certification, supervisory development workshops, and professional certification courses from the National Restaurant Association. Remained active in 30 schools and technology centers throughout Oklahoma, with over 800 students participating in hospitality related classes. Recognize employees at the Hirst Hospitality Awards. Be a worksite for interns. Conduct a tour of your operation for schools. Do a classroom demonstration or presentation in a school. Make a tax-deductible financial contribution to the Foundation. Be a financial contributing partner for Foundation events. Be a stakeholder in the hospitality industry by investing in Oklahoma's youth and the future success of the industry within your state. Make the Foundation a part of your estate planning with the OHF Planed Giving Program.